Other calendar apps don't know the meaning of holidays — yCal does! While for other apps, holidays are (at best) just normal events, yCal has an explicit notion of holidays and understands to show these days in a different fashion than other events. This gives you an extra advantage in quickly grasping the "big picture". Want to manage all birthdays from a single place? yCal will help you! Of course, yCal has access to OS X's built-in birthday calendar — but in addition, it helps joining birthday information from multiple sources and calendars into one concise and consistent list. 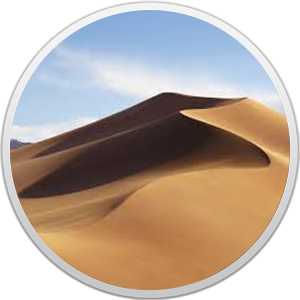 It's all in native Mac OS X calendars! yCal doesn't keep any proprietary data store that may be hard to reach with other programs. All marks, notes, holidays, and birthdays are stored as standard calendar items and are visible and accessible in all other calendar apps. What gives yCal its name: have the full year on one screen! The "months by column" design leaves enough space to show meaningful information on the individual days and gives a much better feeling for the sequence of time (and days). Drag the view horizontally to quickly flip through the years. Want to mark days or weeks to get an even better overview — for example on days off, school vacations, travel time, or special events? Just define some markers in yCal, choose style and color, and off you go! It's just great to see all your year's vacation time just in a single glance! Remember your old-style paper calendar? It was so simple to just scribble some notes onto it. With yCal, you can do the same — completely hassle-free! Just start typing, and the text will be added as a note to the currently selected day. It's that simple! No additional clicks or menu selection to annoy you, no keyboard shortcut to remember. yCal is a true 64 bit application, taking full advantage of your computer's performance. yCal integrates seamlessly with Apple's iCal and Calendar, using the very same calendar data stores as configured in these apps. yCal is fully localized in English, German, and Brazilian Portuguese. yCal is updated continuously for the newest MacOS versions, and fully supports the new dark mode. yCal has been written completely in Objective C using Apple's native Cocoa APIs. yCal takes full advantage of Apple's retina displays, delivering a super crisp user interface. Take yCal for a test-ride! Download the free trial version of yCal and take it for a test-ride! The free download is fully functional; it will just ask you to register once in a while. If you like yCal, please support us by buying a license key! Requires OSX 10.12 or newer.